In order to work effectively, the CFO needs a single unified view that integrates data from multiple data sources and key performance indicators (KPIs), and places them in the context of strategic goals and financial plans. Armed with that information, the CFO can respond to current conditions and keep the company on track and aligned with business objectives. 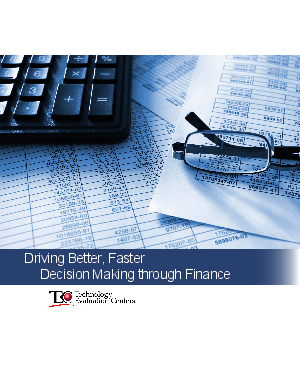 Only when IT resources are properly targeted, implemented, and integrated can the CFO obtain the necessary information visibility for better decision making.